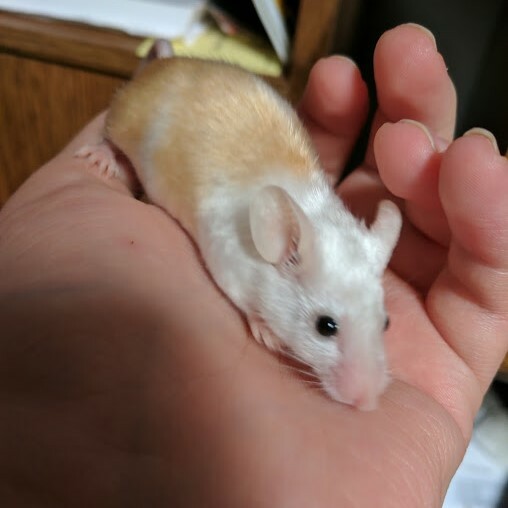 I want to work more with the girls (and eventually Pumpkin) so that they'll walk out of the cage and onto my hand on their own. 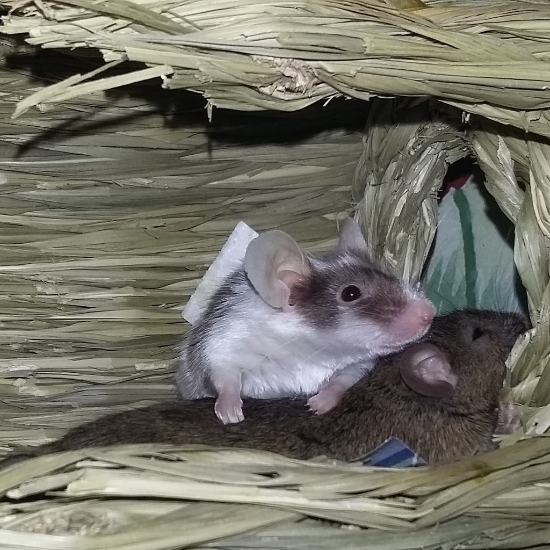 Trouble does it, but she's a mama's girl, Checkers does occasionally, and Zee Zee has done it a few times, but none of them are quite to the point I'd like them to be with it. 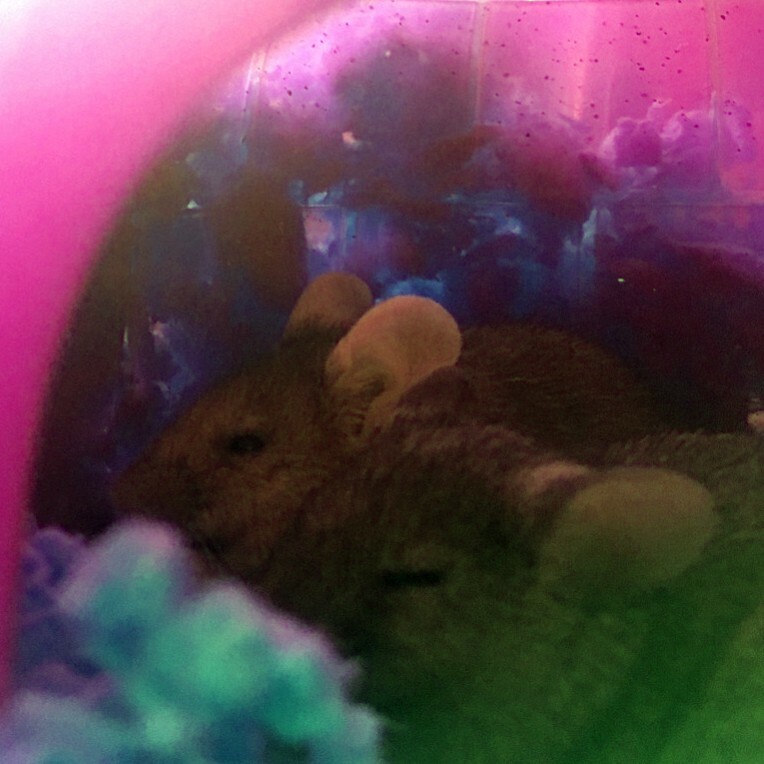 Eventually, I want them to come when I make a certain noise, but for now getting them to step out is my goal. 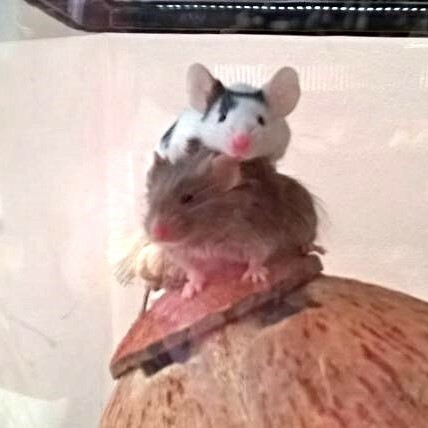 Anyway, I was wondering what treats people have had success with using to lure their mice out of the cage. 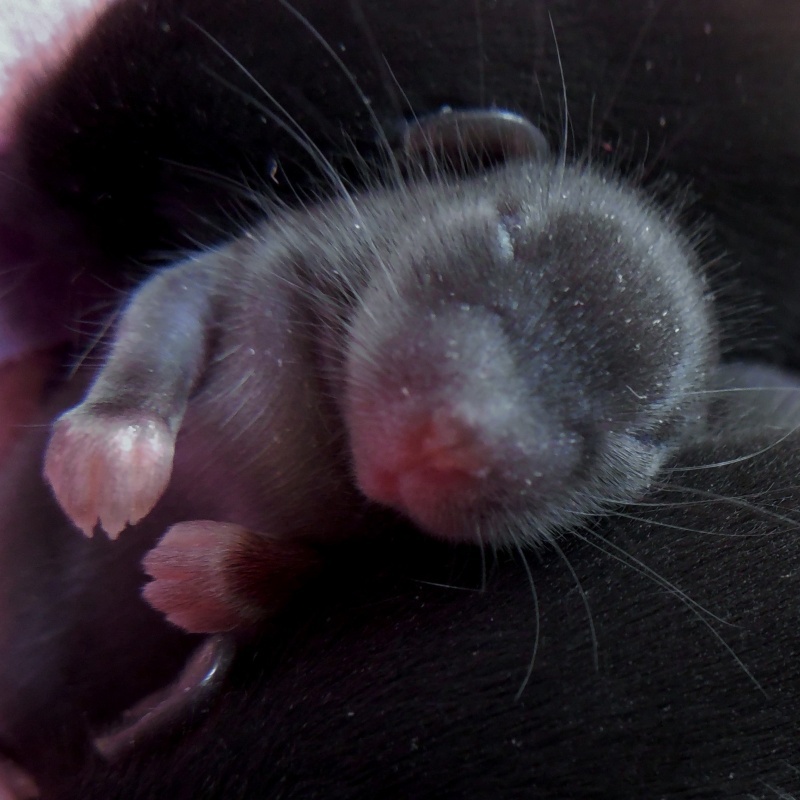 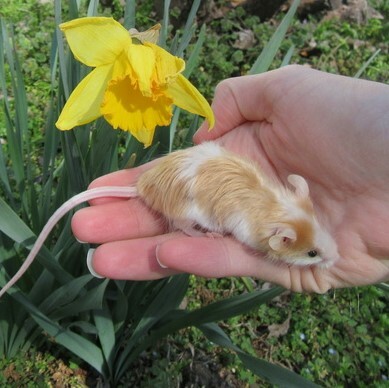 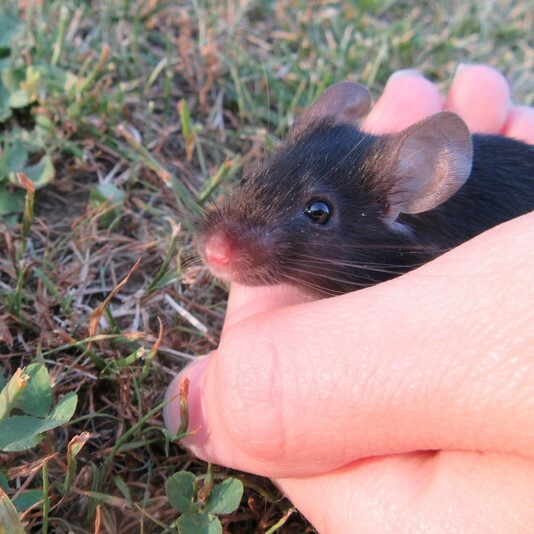 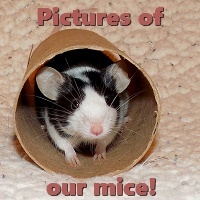 Of course everyone's mice are different, but it would help to know what people have had success with in the past! 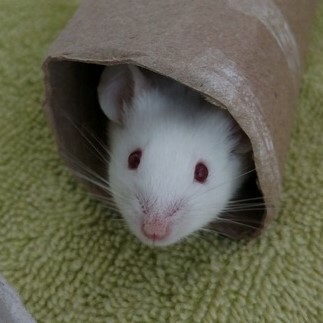 I use plain rolled oats. 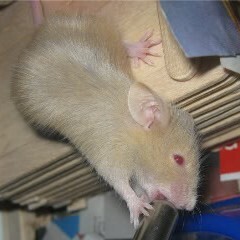 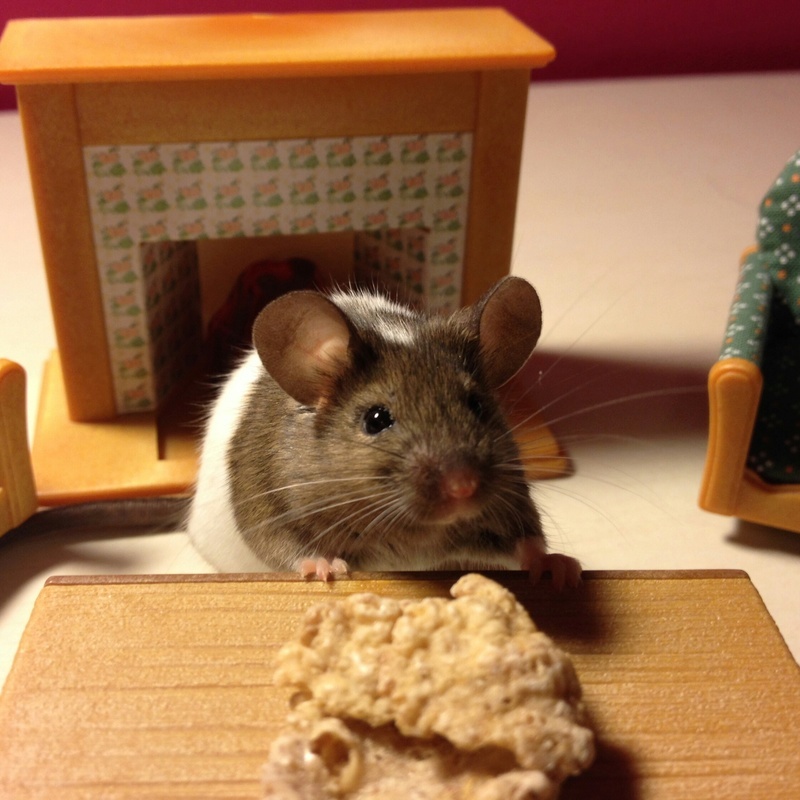 They are the natural, whole grain ones and the mice really seem to love these. 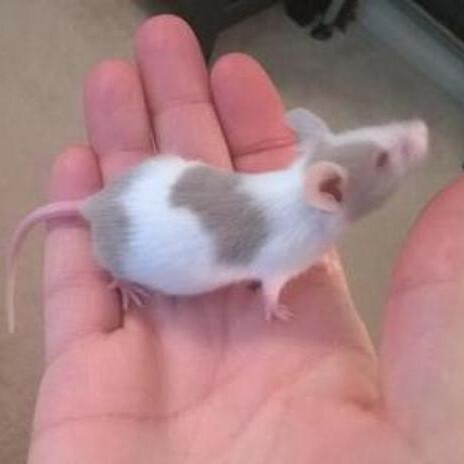 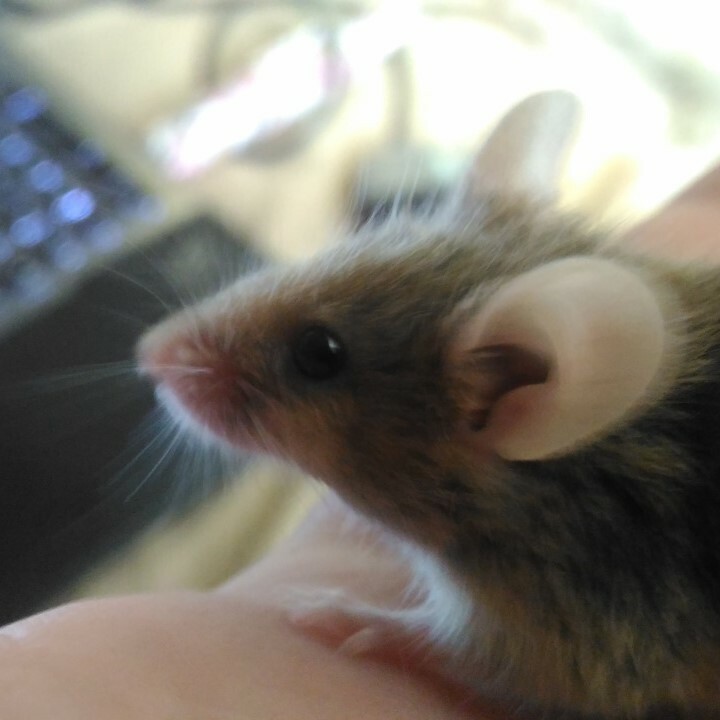 None of my mice have been too picky. 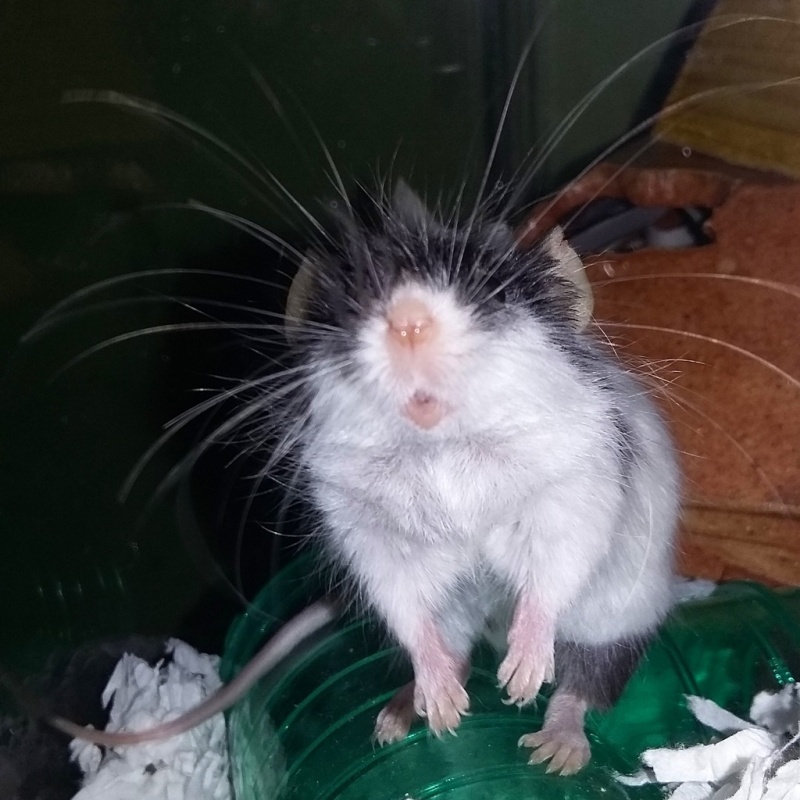 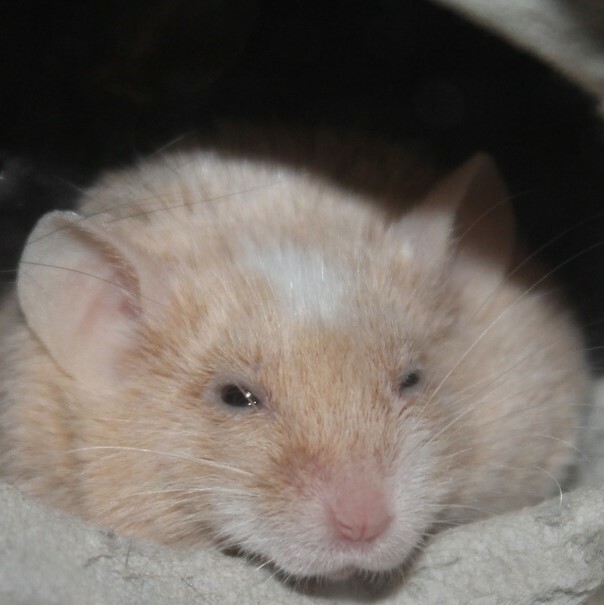 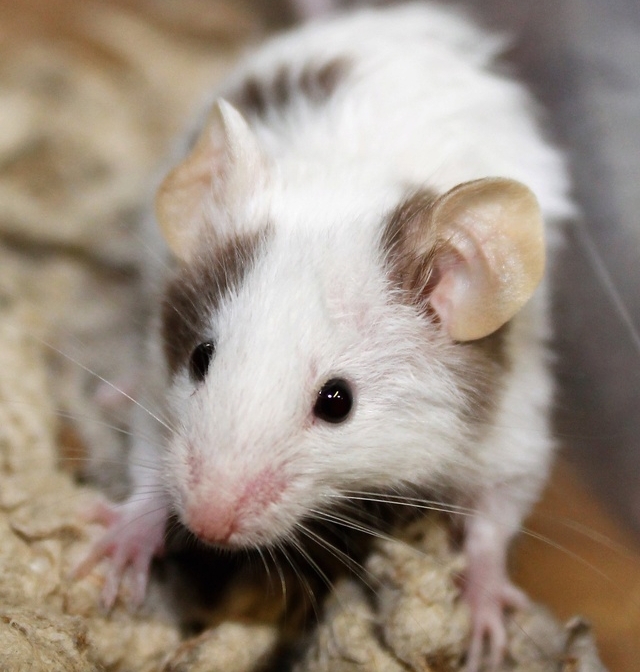 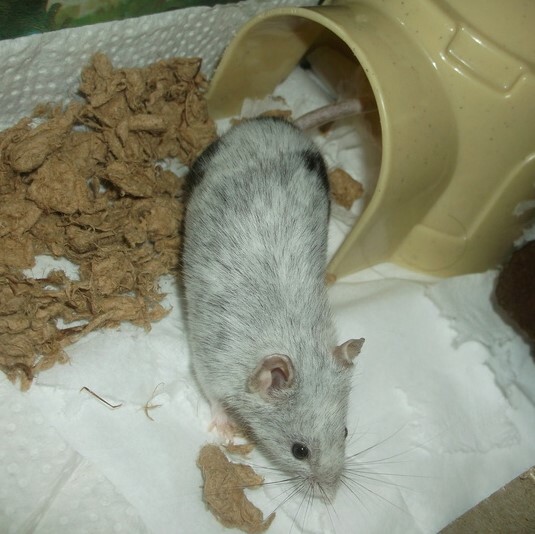 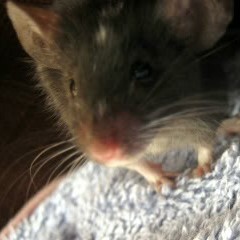 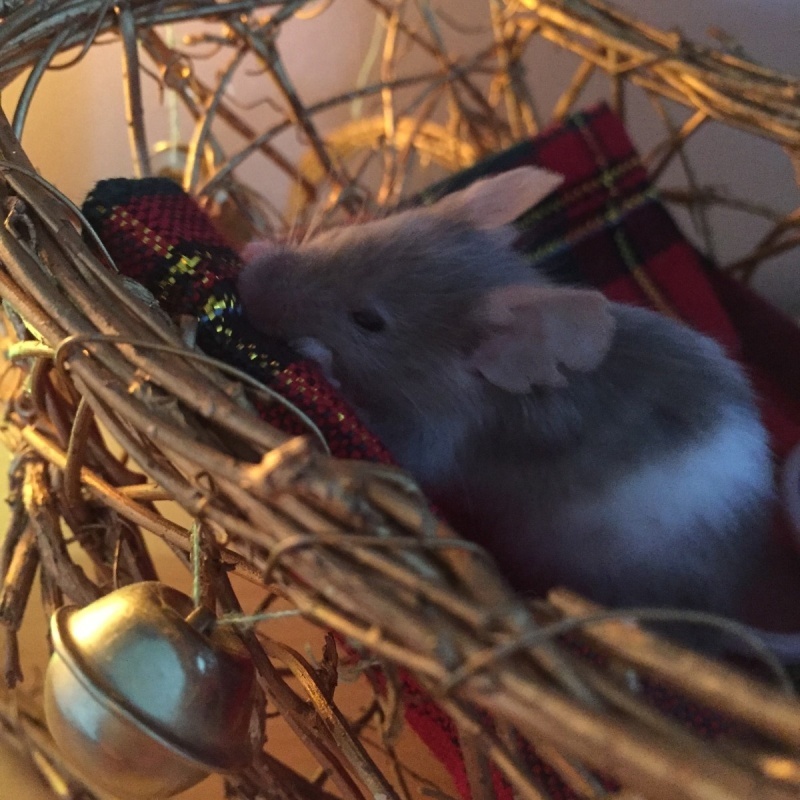 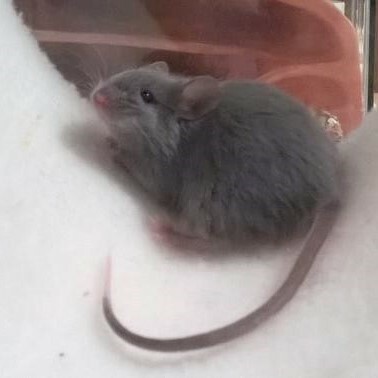 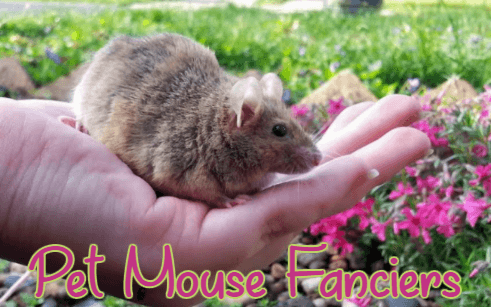 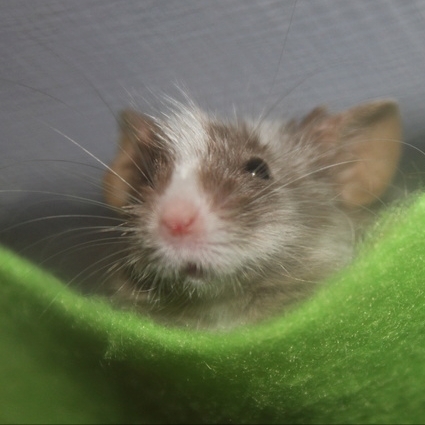 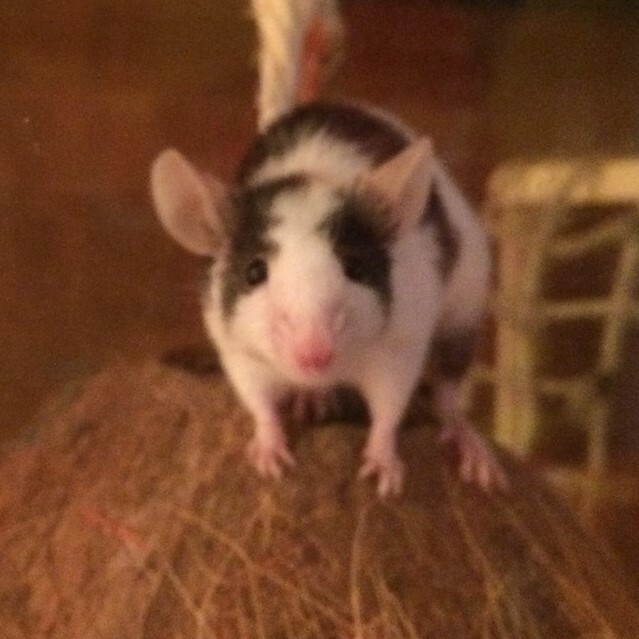 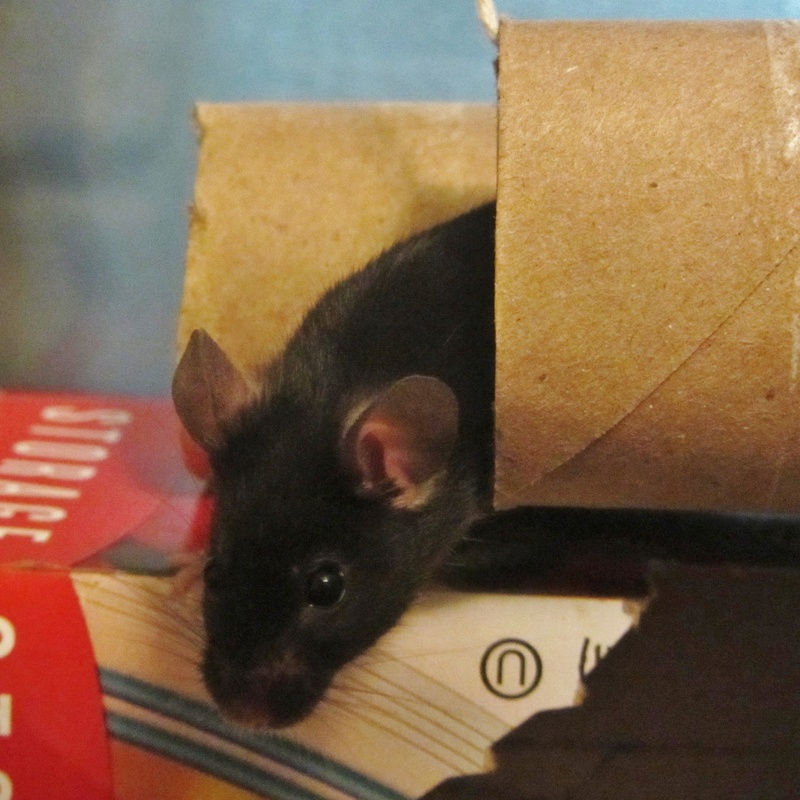 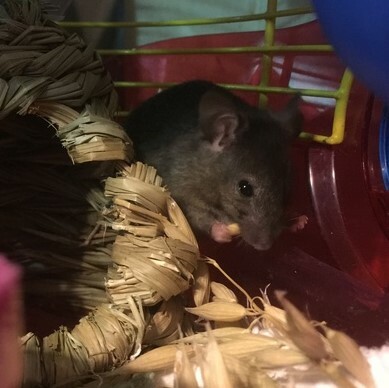 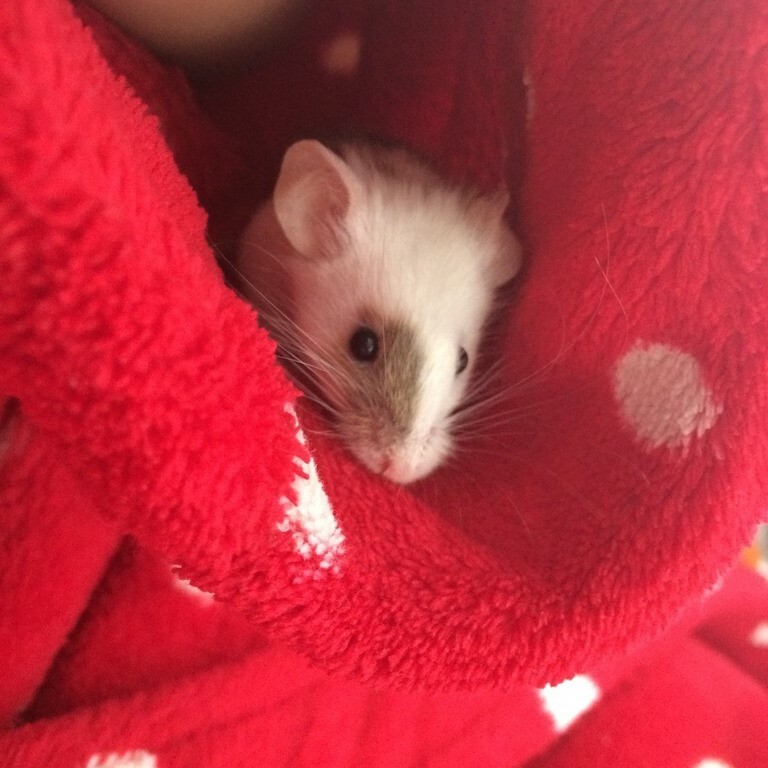 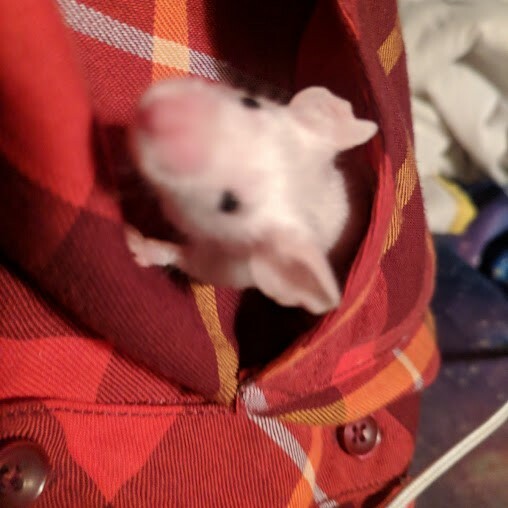 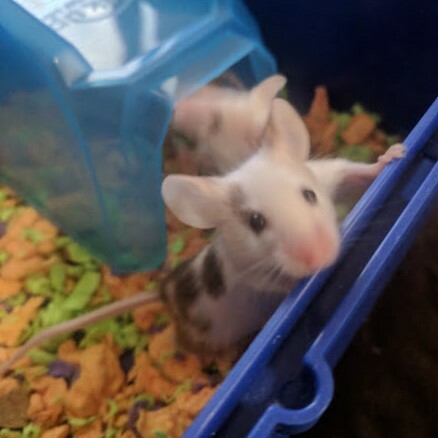 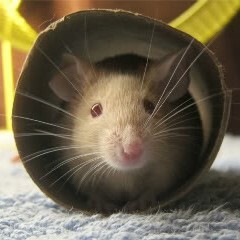 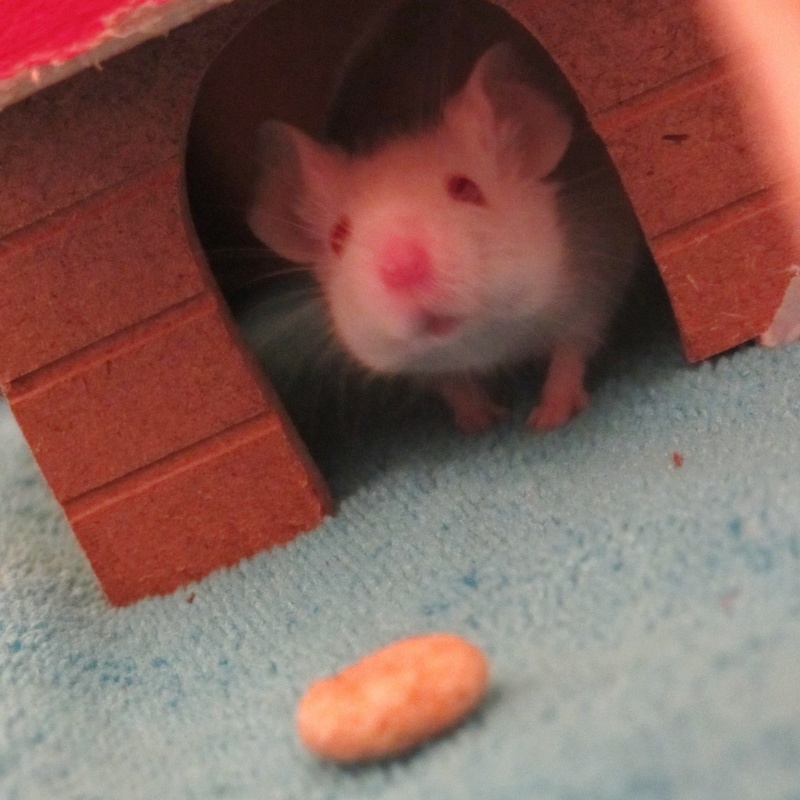 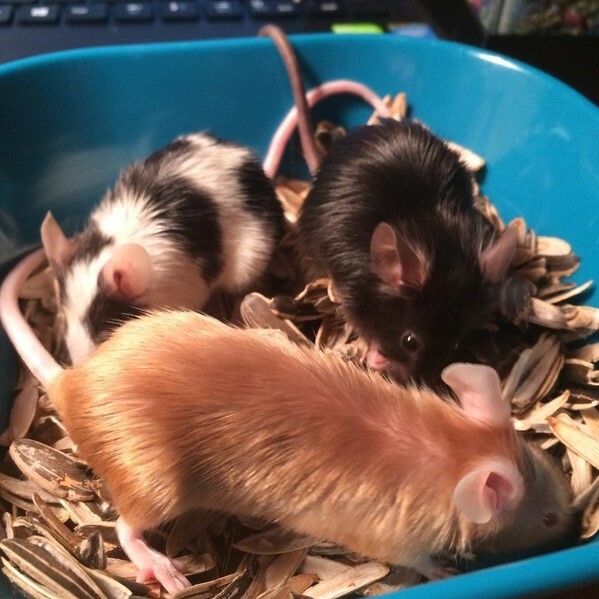 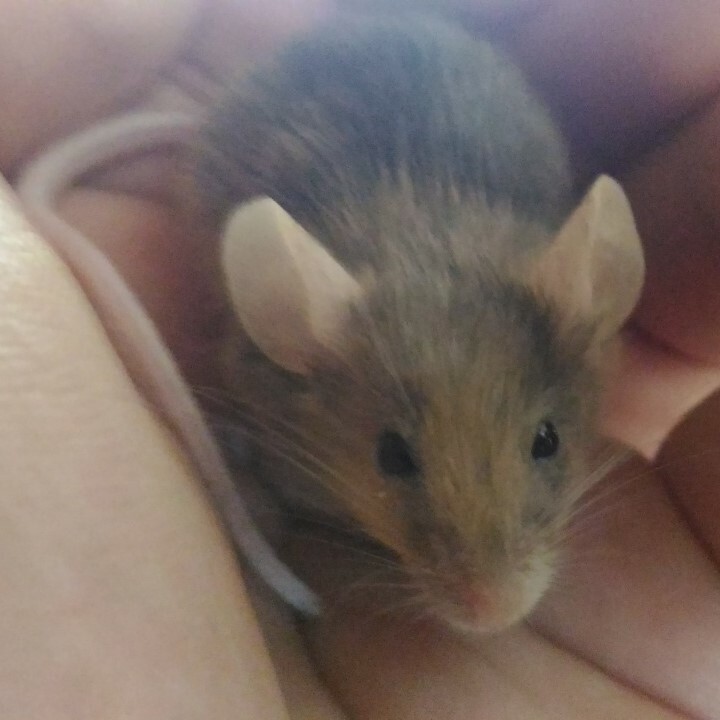 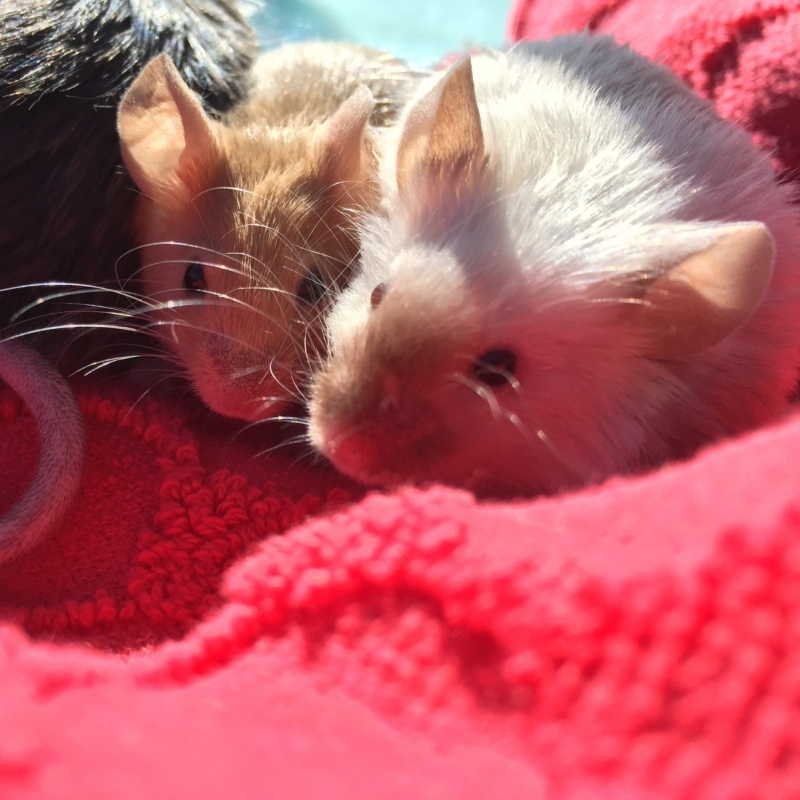 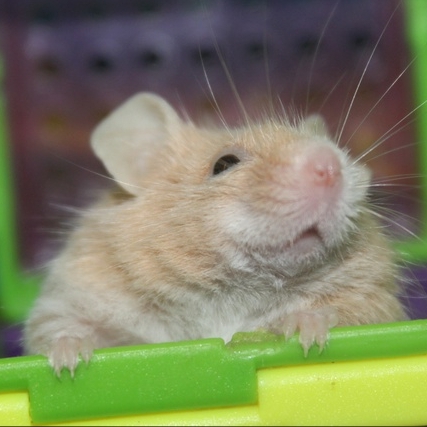 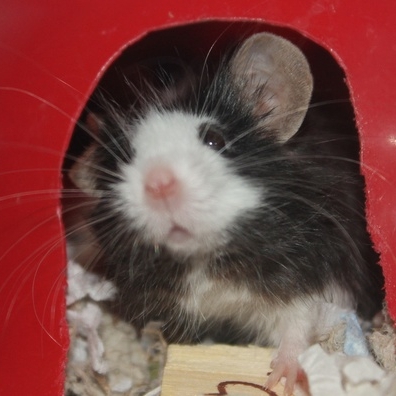 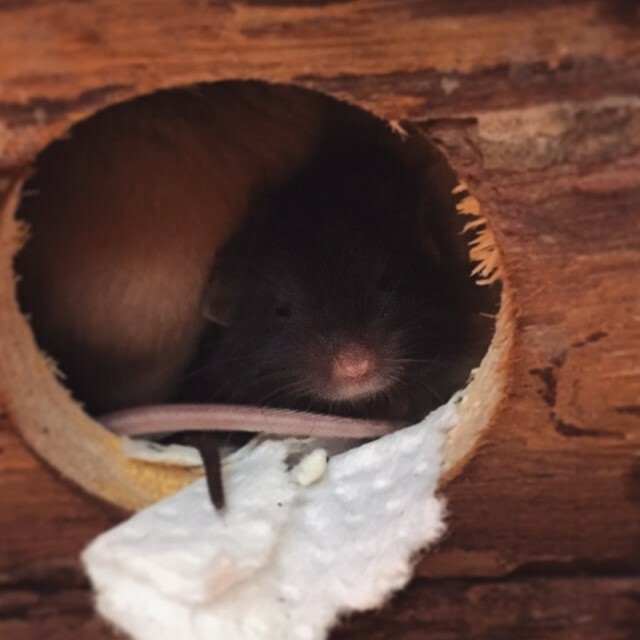 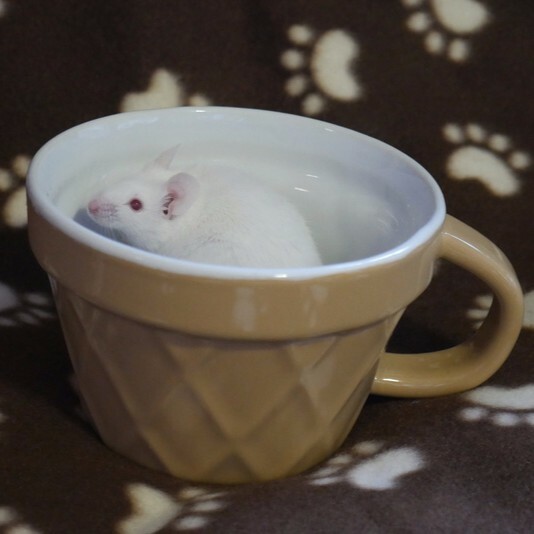 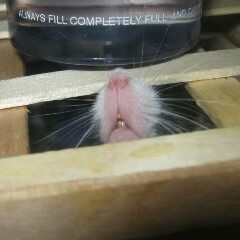 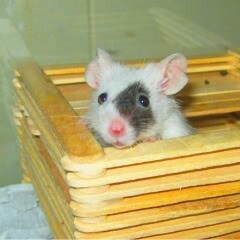 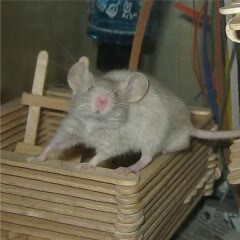 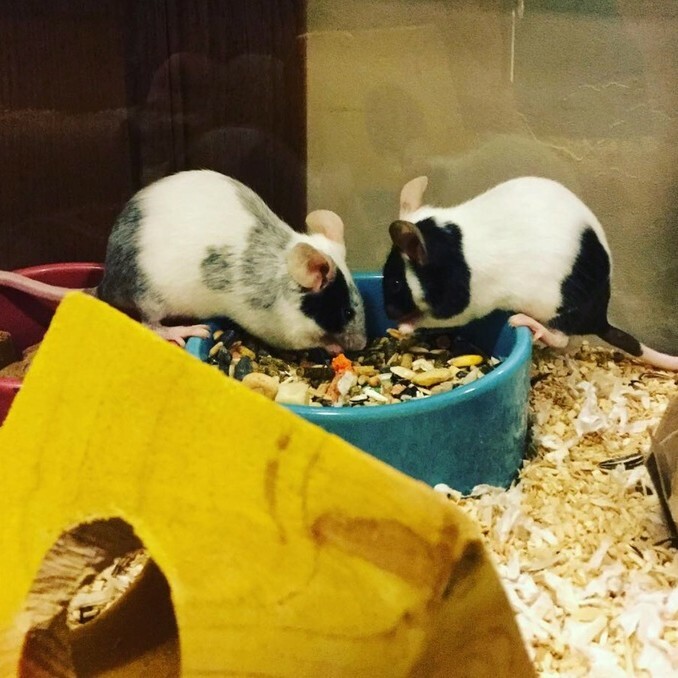 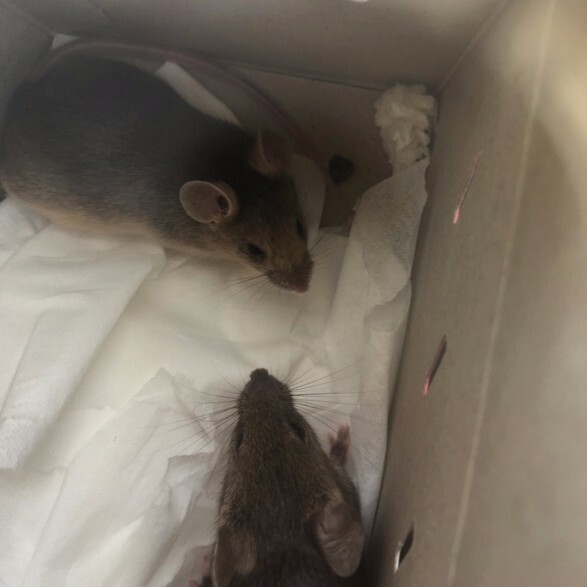 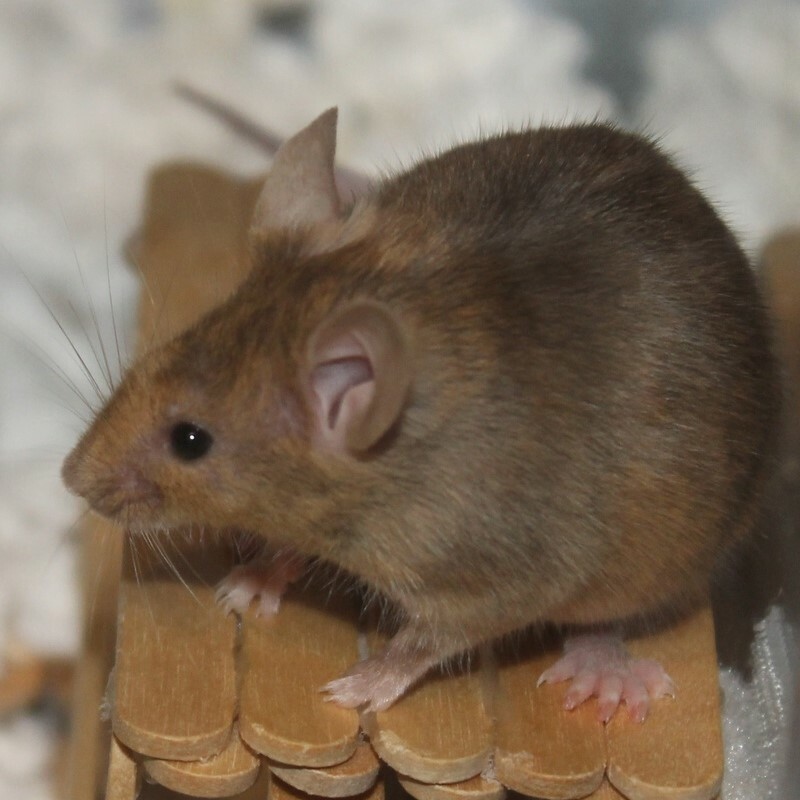 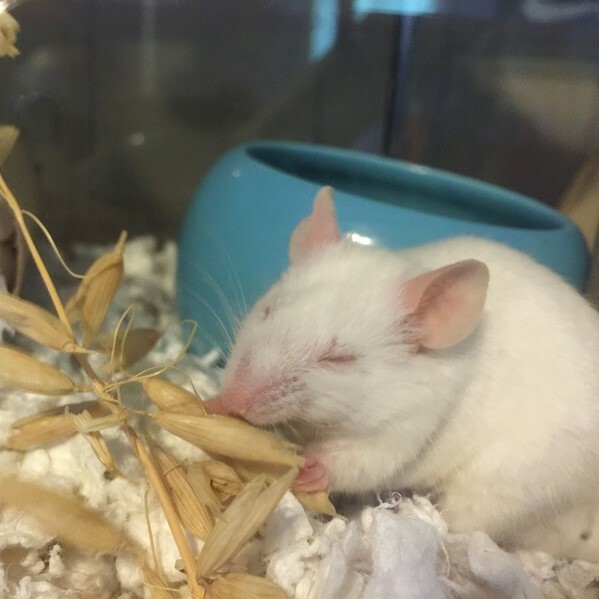 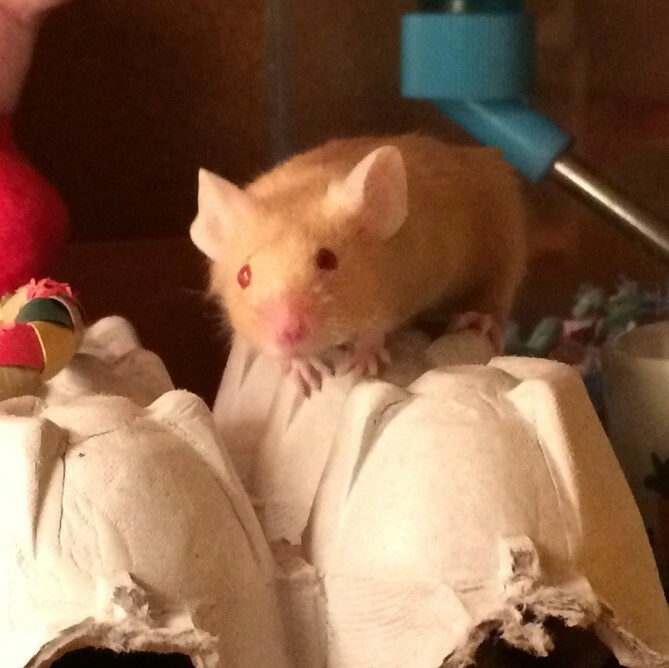 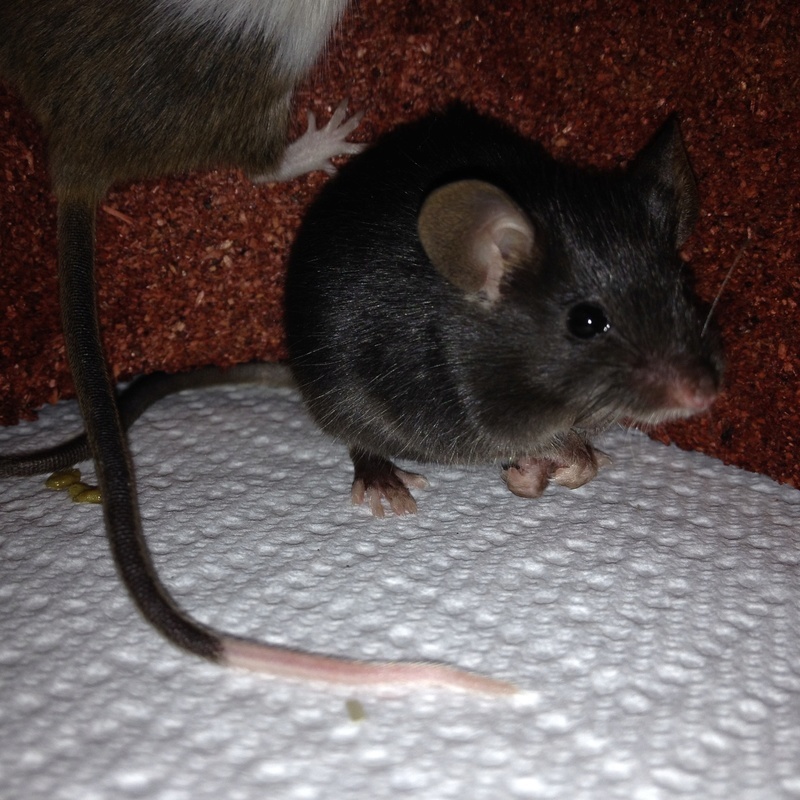 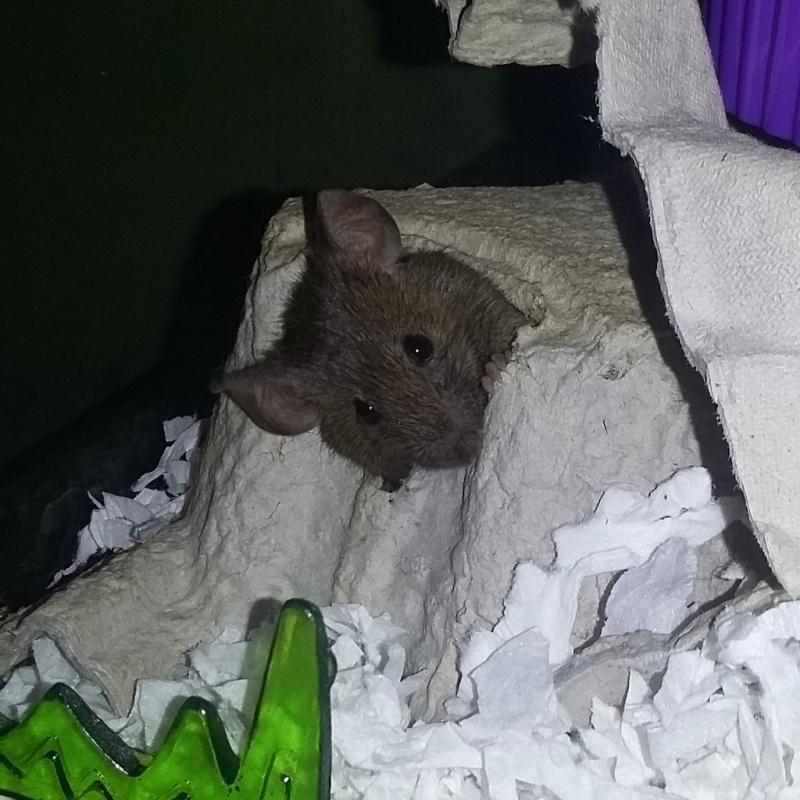 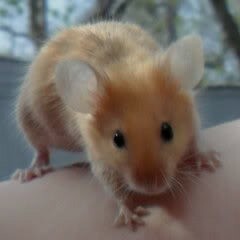 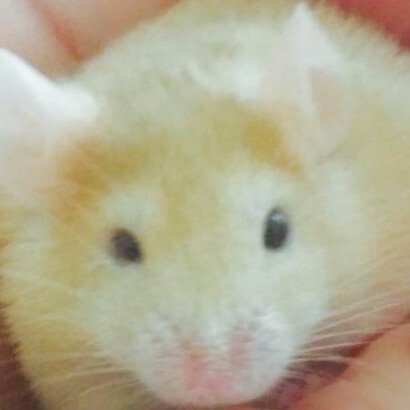 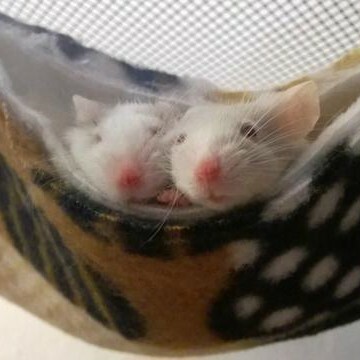 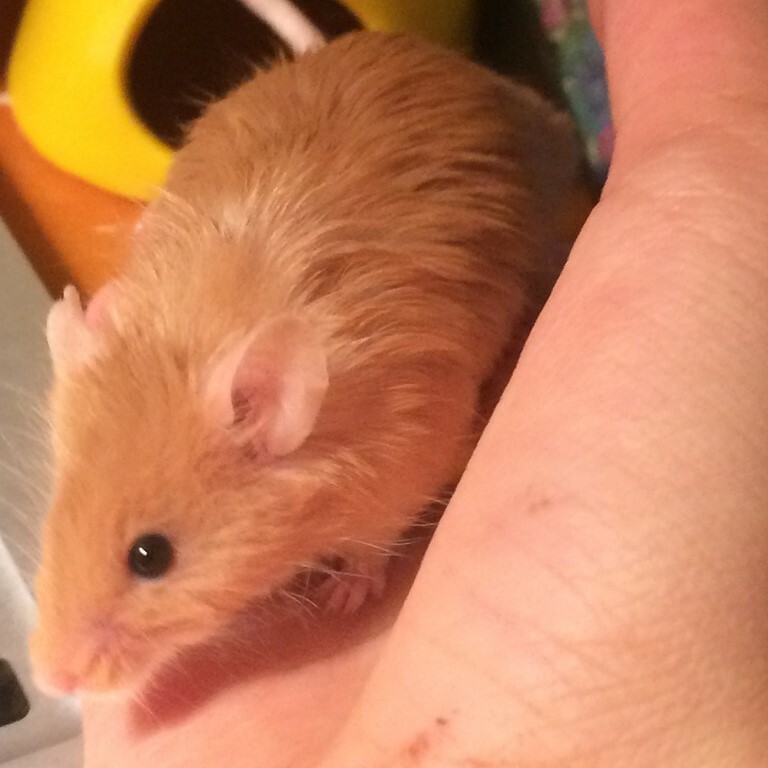 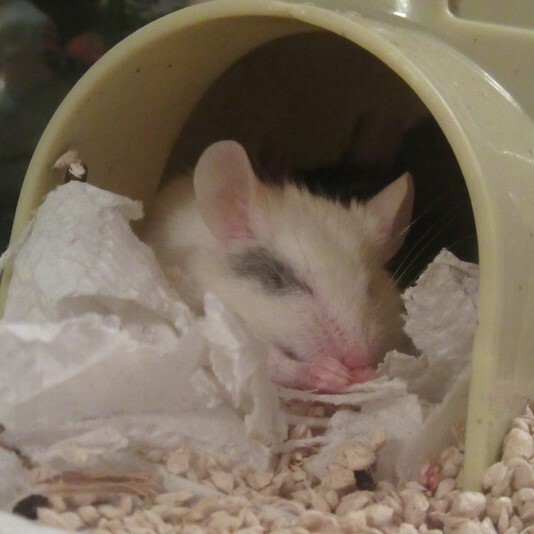 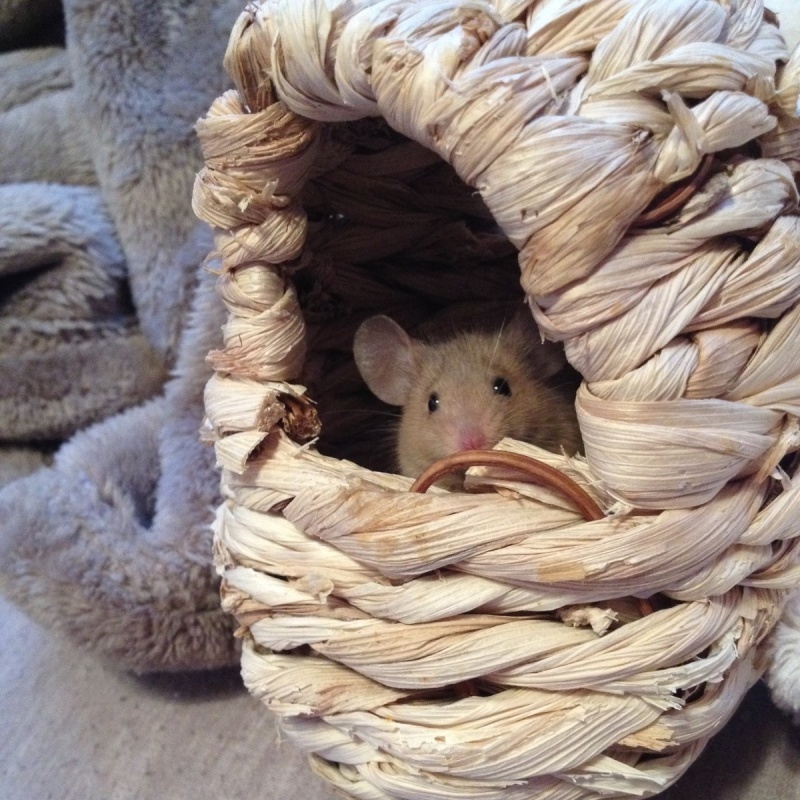 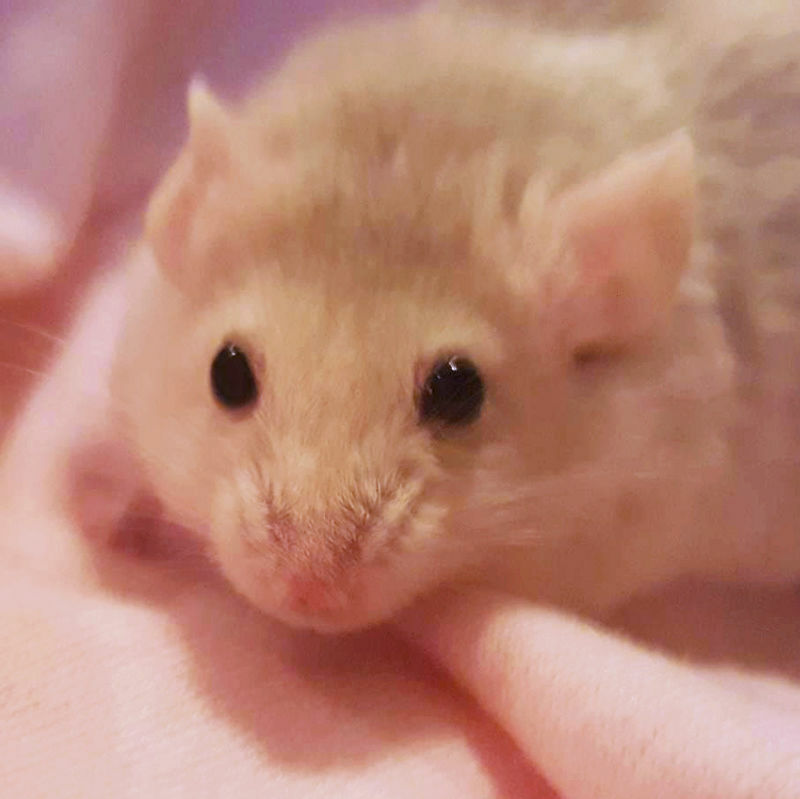 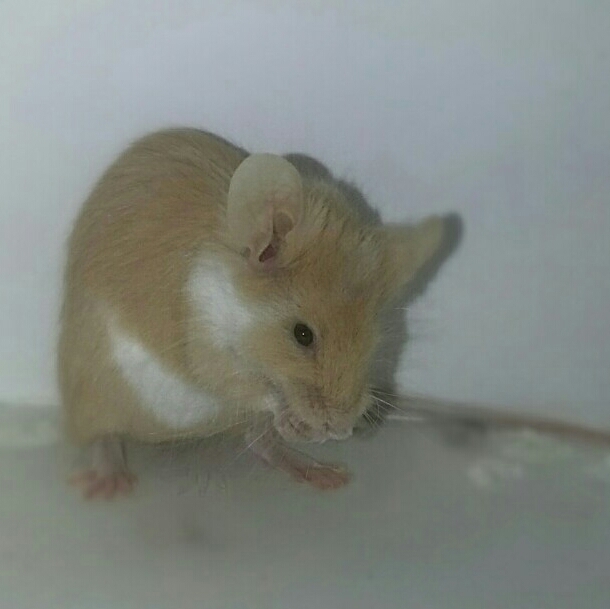 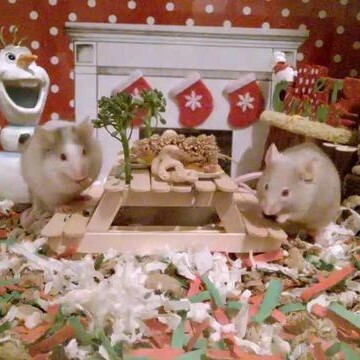 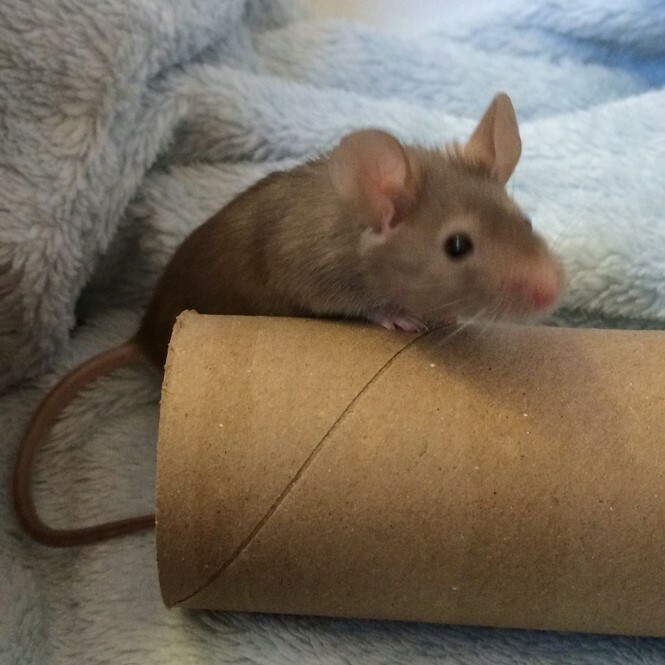 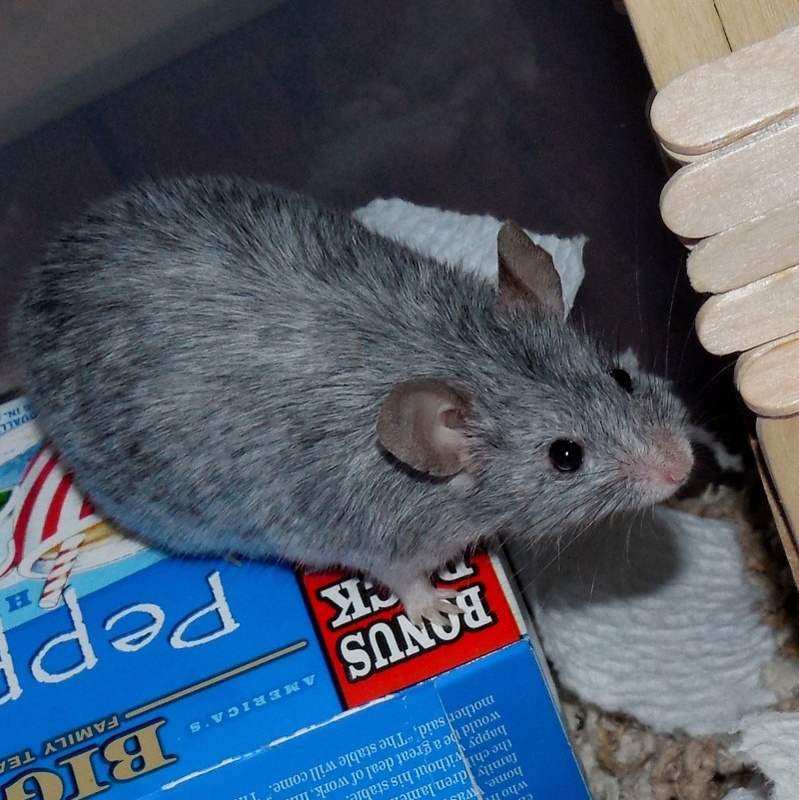 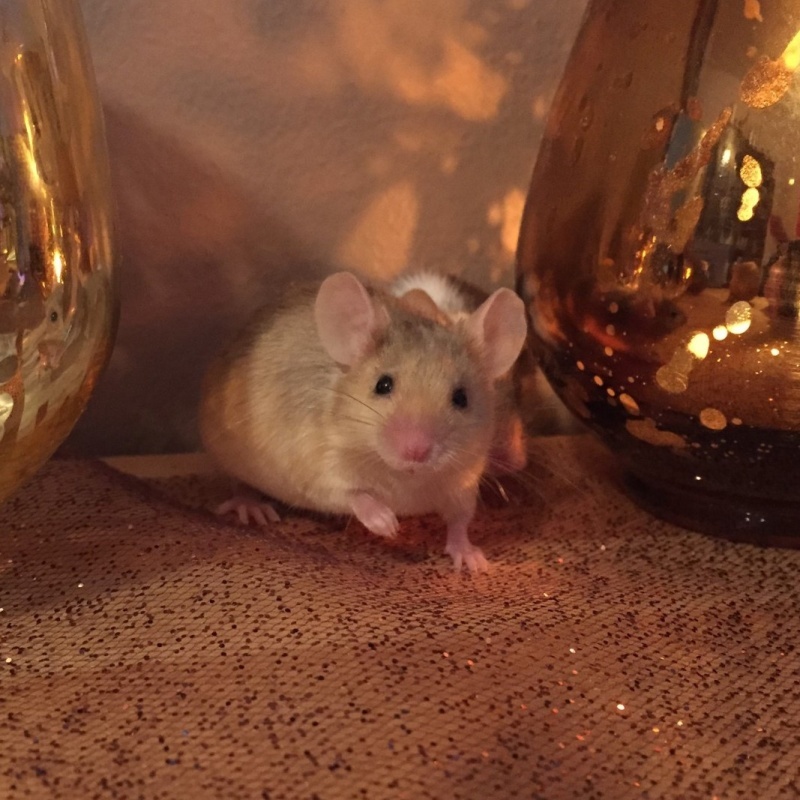 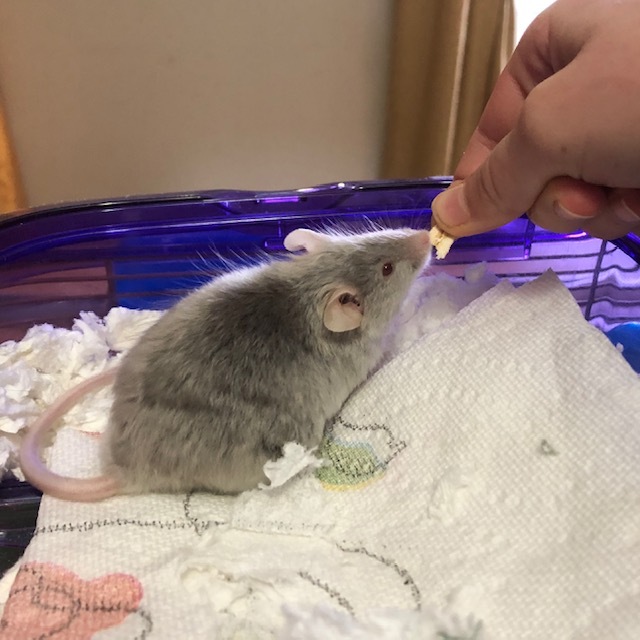 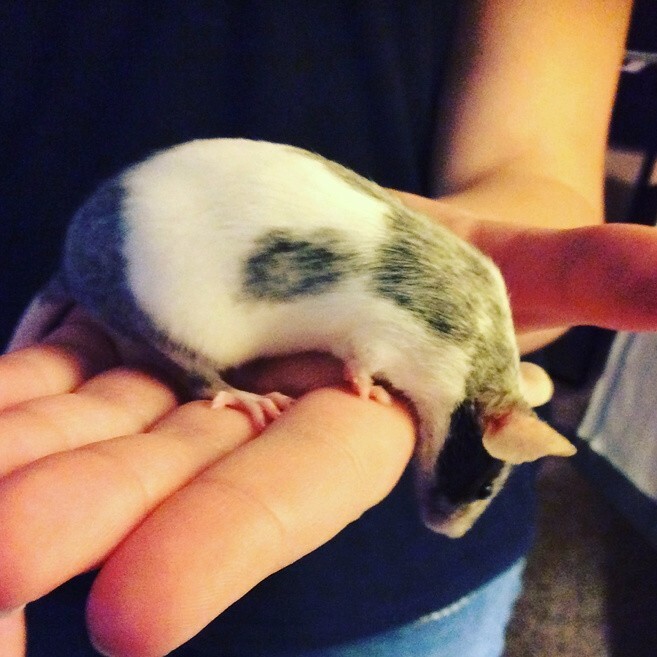 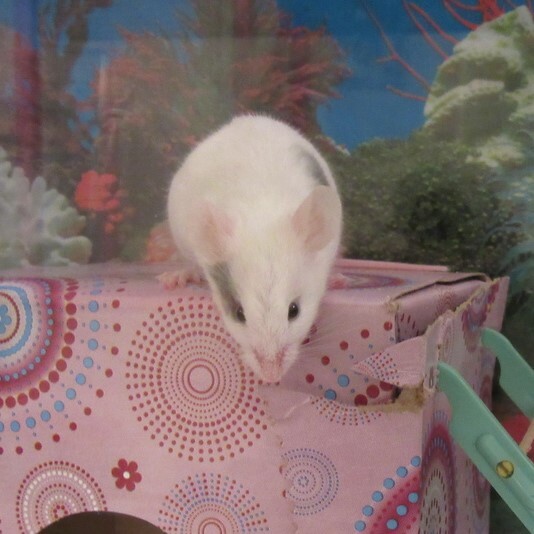 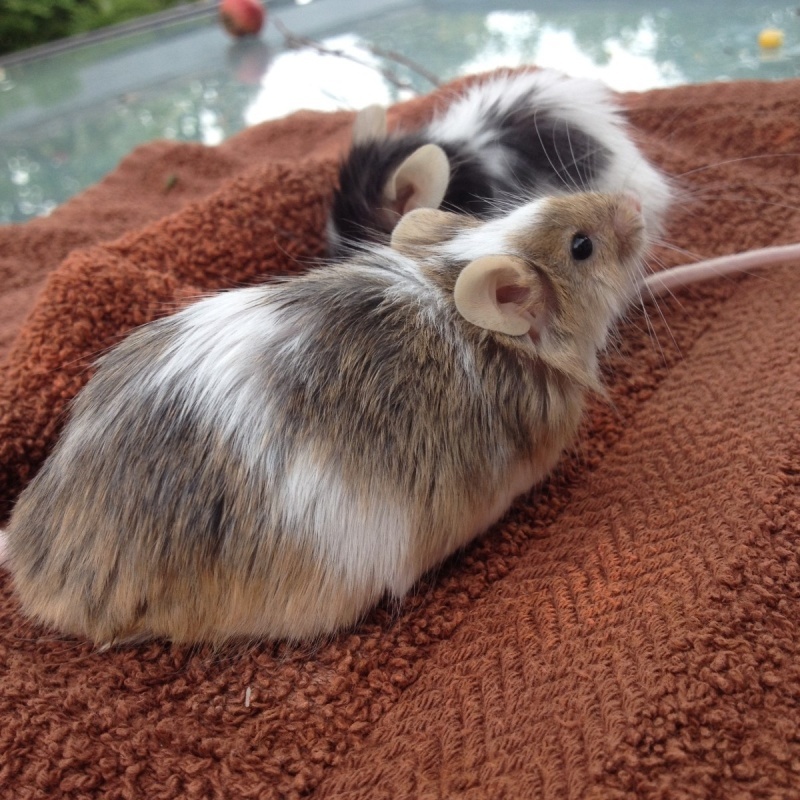 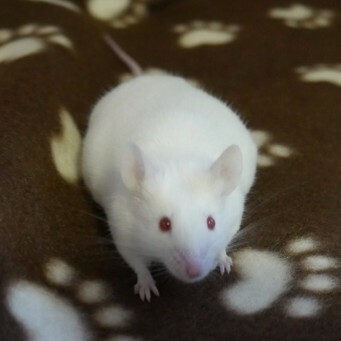 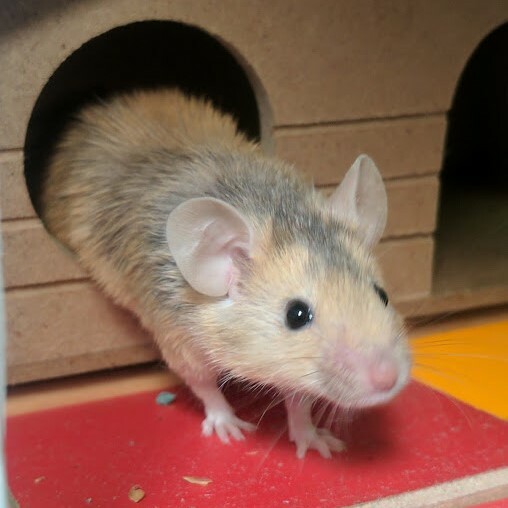 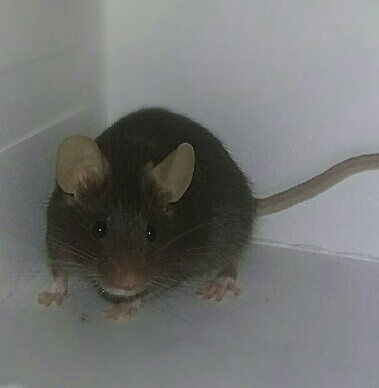 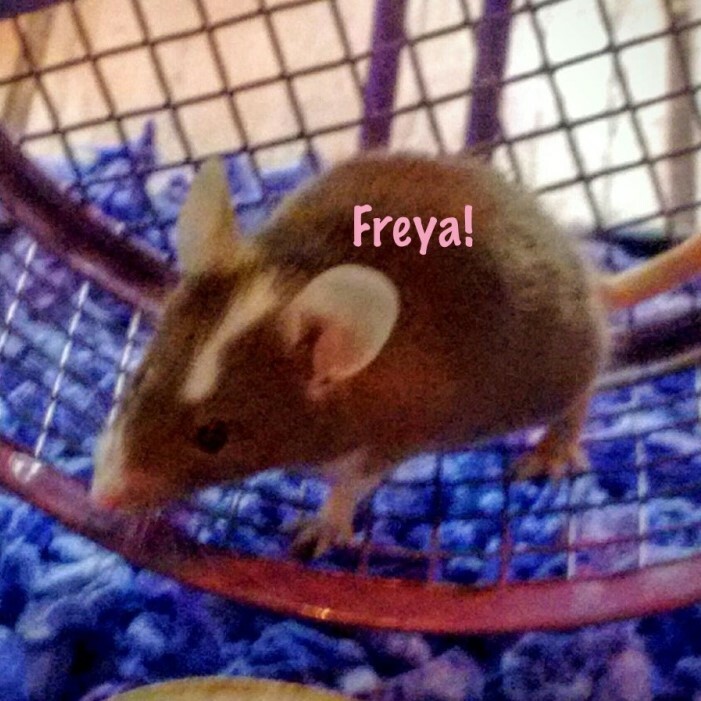 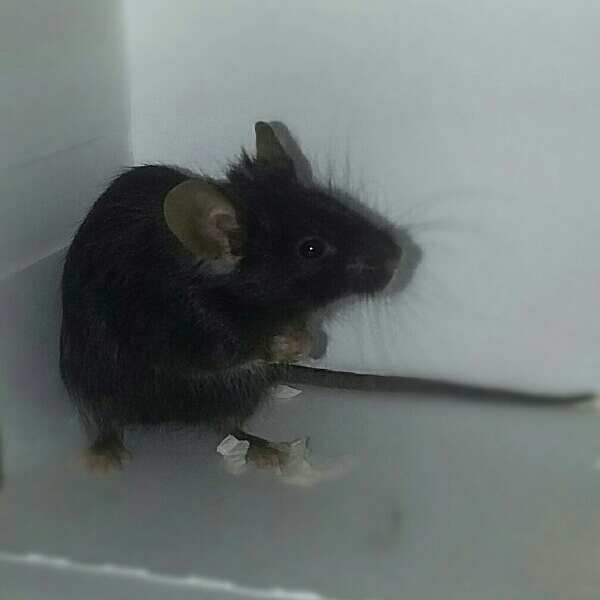 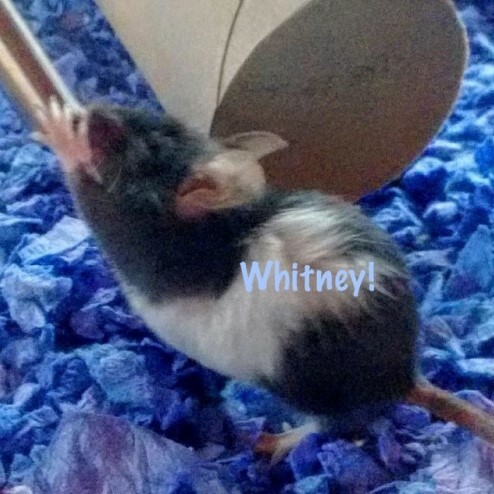 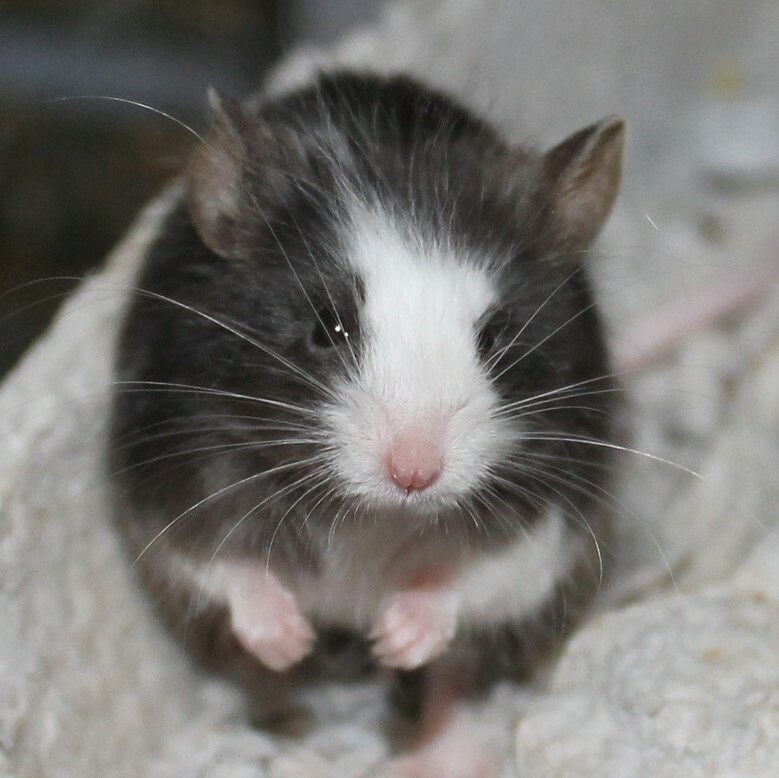 I listed off some treats that my mice have enjoyed not too long ago in this thread. 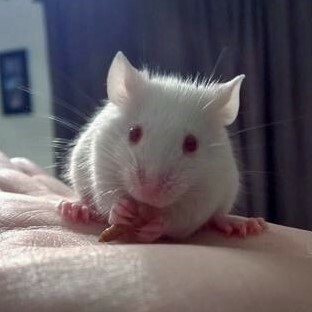 But I don't ever use treats during taming. 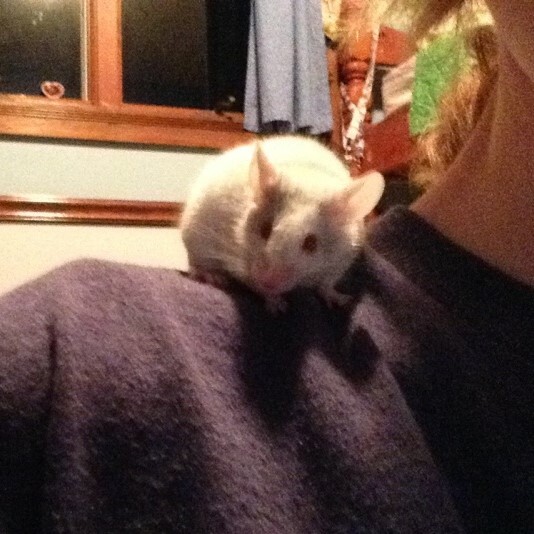 I find it can encourage nipping/biting. 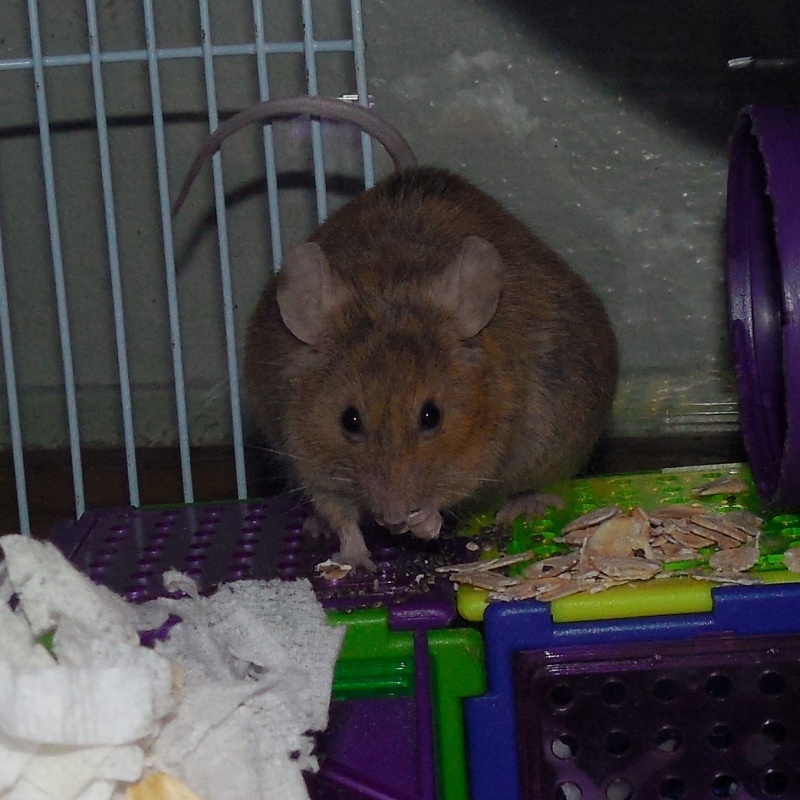 But I do make sure to hide some treats in their enclosure for them to find when taming sessions are over.